1. The functional assistant control tray afford closing operation. 2. Luxury ceramic spittoon can rotate 90°, with intelligent quantitative water supply and flushing function. 3. Low temperature operation lamp, high shadow-free effect. 4. The perfect designed instrument tray can satisfy your clinical operation. 5. Multi-function handpiece holder, can rotate 90°, can easy reaching. 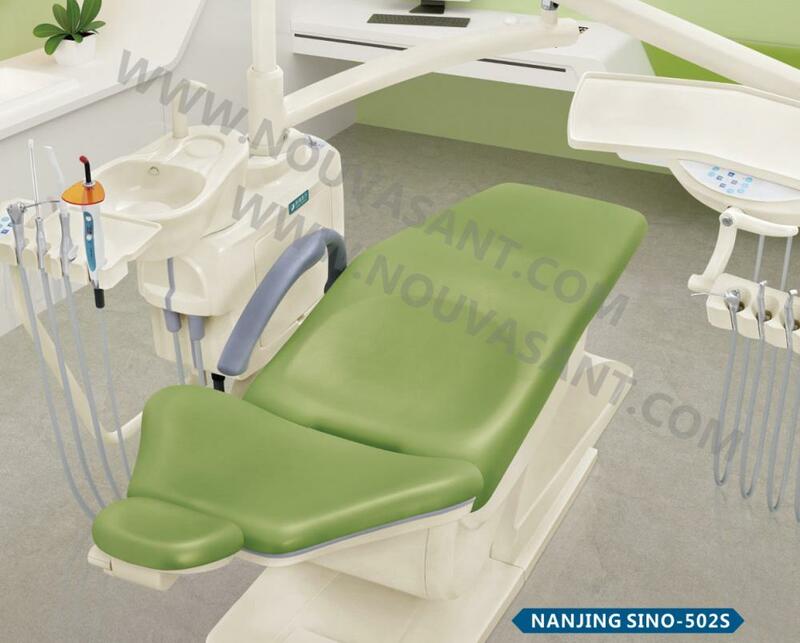 Looking for ideal Dental Chair Manufacturer & supplier ? We have a wide selection at great prices to help you get creative. 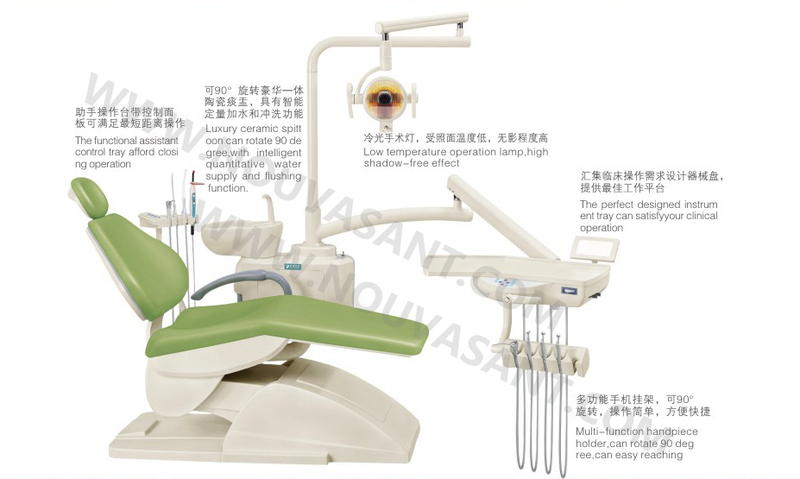 All the Dental are quality guaranteed. We are China Origin Factory of Chair. If you have any question, please feel free to contact us.